Good news on a couple fronts this week when it comes to dementia and cognition issues. A recent study published in the American Academy of Neurology, pointed to the importance of eating leafy greens and other vegetables as well as drinking orange juice as keys to lowering the risk of memory loss in men. The study looked at over 27 thousand male health professionals over a 20 year period… at the end of that time… the men who consumed the most vegetables were 34 percent less likely to develop poor thinking skills than those who consumed the least. And the men who drank orange juice every day were 47 percent less likely to develop poor thinking skills than those who drank less than one serving per month. Researchers also noticed that those who ate larger amounts of fruits and vegetables 20 years earlier were less likely to develop thinking and memory skills… whether or not they kept eating large amounts later. And a new study out of Scotland is showing that antioxidants are showing promise for people with diabetes at risk for cognition issues. Long-term decline in cognition can be common for patients who experience frequent low blood sugar. Previous studies in mice show that reoccurring low blood sugar leads to cell damaging free radicals in the brain. But in the recent study… mice were given the antioxidant sulforaphane, derived from vegetables. The antioxidant decreased free radical cell damage and showed significant improvement in cognition and memory tasks. A doctor involved in the study cautioned that the amount of sulforaphane used in the study would not be attainable through a normal diet rich in vegetables. Finally… a study out of the UK found that British children with intellectual disabilities are more likely to live in areas with increased air pollution. The study looked at more than 18 thousand children born between 2000 and 2002. It revealed children with intellectual disabilities were 22 percent more likely to live in areas with high levels of diesel particulate matter and 30 percent more likely to live in areas with high levels of nitrogen dioxide, which is the result of vehicle exhaust. The lead author said those in the UK with intellectual disabilities tend to have poorer overall health and die earlier than they should. That’s a look at what’s making headlines in natural health… make sure to go to iHealthTube.com and sign up for our free email newsletter to stay connected to the latest in natural health! 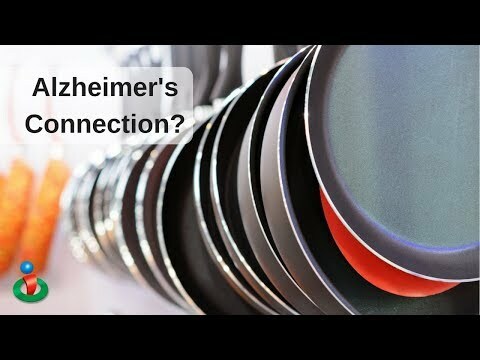 Learn about a couple key studies that will offer insight and help into dementia and cognition issues. Also find out another potential effect on your children if you live in an area of high pollution!